I remember watching the Superman movies on VHS and on TV when I was a kid; it used to be that renting a video at your local store and checking the TV Guide to see when a film would be on television were both big deals, and, at a young age, those movies you chose to watch stuck with you for a lifetime. The Superman quadrilogy, most of which came out before I was born, was still a part of my film experience and my taste building, especially the first two, which I remember more clearly. But the whole series is historic, in its own way, and recently I decided to do a rewatch from the top. Superman, Superman II, Superman III, Superman IV; I expected some ups & downs and that’s exactly what I got, but the music and the memories were worth the visit, and this franchise will always be legend. In the first, we are introduced to the alien hero Kal-El. He was born on the planet Krypton as that world approached its self-destruction, as its leaders ignored the warning signs and refused to abandon their home. Jor-El knew that the end was near, so he send his infant son into space, with all the knowledge of his people and with the means of reaching Earth, where a yellow sun and a different atmosphere would mean that Kal-El would grow up to be special. Found by the Kents and raised as their son Clark in Smallville, Kansas, this boy would become the world’s greatest hero, after finally understanding the whole of his past and the mission his parents bestowed upon him when they saved his life; to protect mankind, to be their guide, and to always do right. Clark Kent, moving to Metropolis and becoming a journalist for the Daily Planet newspaper, would keep the city safe. But falling in love with fellow reporter Lois Lane and running afoul of genius villain Lex Luthor would complicate his heroics, and sometimes difficult choices arise when you find yourself in too deep. 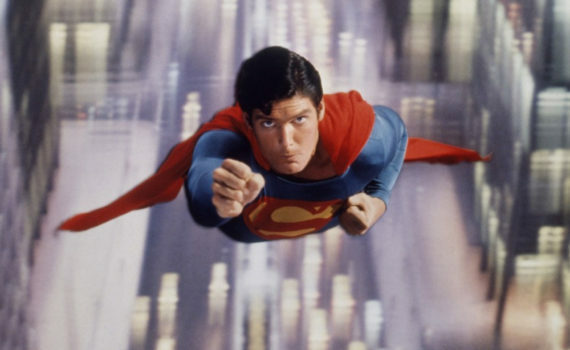 From the opening credits onward, audiences can sense something special about Superman, an epic adventure with all the pieces present to go down in history as one of the very best. The score is perfection, and flows throughout every moment, each main character receiving a theme; Superman, Lois, Lex. John Williams is obviously the best there is, and his talents are on full display here, with music that I will never forget. This is one of Donner’s first films, his career taking off in the 80s & 90s with hits that became cult classics, and you can see his skill easily. Compared to today’s comic book movies, he kept things very simple; basically we see Krypton, meet Superman, he falls in love, and then saves the day, but that’s enough for one film, even one with a long run time. The Krypton scenes are cool, the villains are hilarious, Reeve is an American institution, and the cast is solid, with Marlon Brando popping up to play Jor-El. Margot Kidder I could have done without, she’s loud and weird, and not a very good leading lady, but basically everything else works, and I’m glad I’ll always have this film to return to.